No limitations: Vuyani Jarana, incoming CEO of SAA. 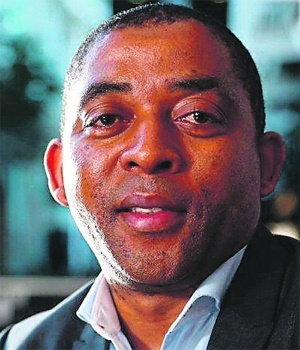 Cape Town – SAA reported lower revenues as it lost market share to international players, said CEO Vuyani Jarana. Jarana was briefing Parliament’s Standing Committee on Finance on the airline’s quarterly report on Tuesday. He was accompanied by board chairperson JB Magwaza and other board members. The report highlighted the state of the airline’s finances, which showed a net loss for the year to date of R3.701bn. The airline’s revenue for the year-to-date was at R22.274bn, R1bn lower than budget projections. Additionally, costs were R561m above the budget target. Jarana explained that there is a need for the airline to respond to the changing market dynamics. Overall the group saw a decline in market share, even though its subsidiary Mango reported growth in the domestic market. “This talks to constraint and the ability to respond to market challenges. We must respond to the changing market environment,” he said. Jarana lamented that international passengers were scooped up by gulf airlines like Emirates, Qatar and Turkish. “SAA must reorganise itself to compete in a cut-throat market. We must build on a strategy that responds to that,” he said. According to the figures, international sales declined 9% or R816m, regional sales declined by 2% or R91m and domestic sales declined by 16% or R617m. A part of the reason that SAA carried fewer passengers is because of the negative sentiment surrounding the airline, Jarana explained. When there is more negative news in the media about SAA struggling, the airline’s global partners struggle to sell, he said. “Even with best strategy of execution, if negative sentiment continues it could undermine ability to win in the market.” When South Africans publicly share views that SAA is dying, then it has a drag effect which takes three to six months for the company to convince agents that it is still standing and can operate, Jarana told the committee. The committee heard that the strengthening rand also had a negative impact on revenue, as 51% of revenue is dominated in foreign currency. This saw sales took a knock of R578m. Other contributors to the decline in sales is attributed to tactical capacity reductions. Contributors to rising costs include maintenance costs which were above budget by 19% or R580m. Energy expenses were 3% above budget or R173m. Labour costs were 2% above budget or R79m. Jarana also spoke on the liquidity challenges plaguing the airline due to limited access to credit, among other things. SAA is in discussions with shareholders to manage liquidity. He pointed out that it was important to reach out to lenders, as no business can survive without access to credit. But he also recognised that too much credit can be burdensome on the business. Jarana explained that the solution for SAA does not solely rest on banks, the airline also needs to reorganise its balance sheet and restructure the business so as not to depend too much on debt. “We need to get capacity for SAA to sustain its operations,” he added. SAA’s new turnaround plan has a three-year window and Jarana said that the airline should start dropping profits by 2021. The airline has been struggling with a growing debt burden since 2012. Earlier in March the Auditor General Kimi Makwetu relayed to Parliament his doubts that the airline could continue as a going concern. He flagged irregular expenditure of R125.9m and fruitless and wasteful expenditure of R40.4m for the 2017 financial year. Jarana said that SAA accepts the Auditor General’s report as it provides insight for the company. He added that steps were being taken to address the Auditor General’s concerns such as reviewing the supply chain management policy, adding capacity to the supply chain management department and introducing consequence management.